Let’s Tow! – Live MoHo! Its time to get the Jeep ready to tow! 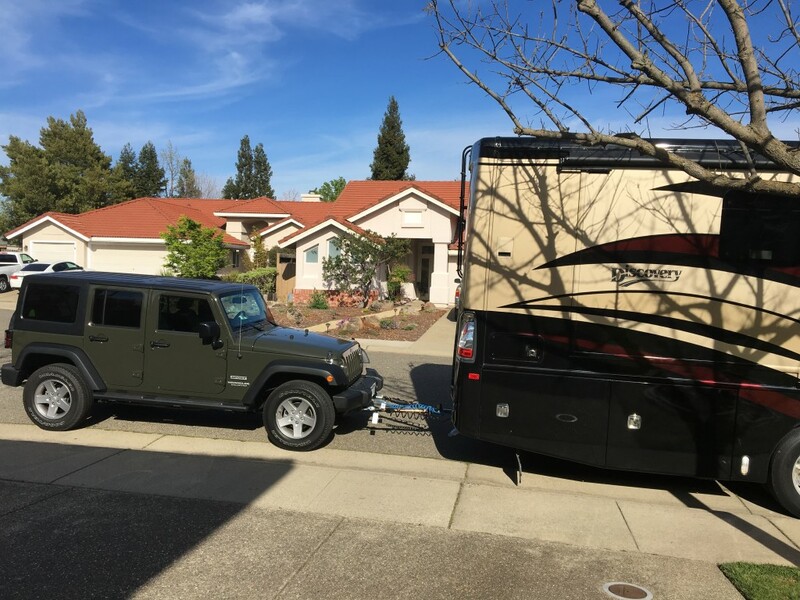 I found a mobile hitch installer Sacramento Mobile Hitch. 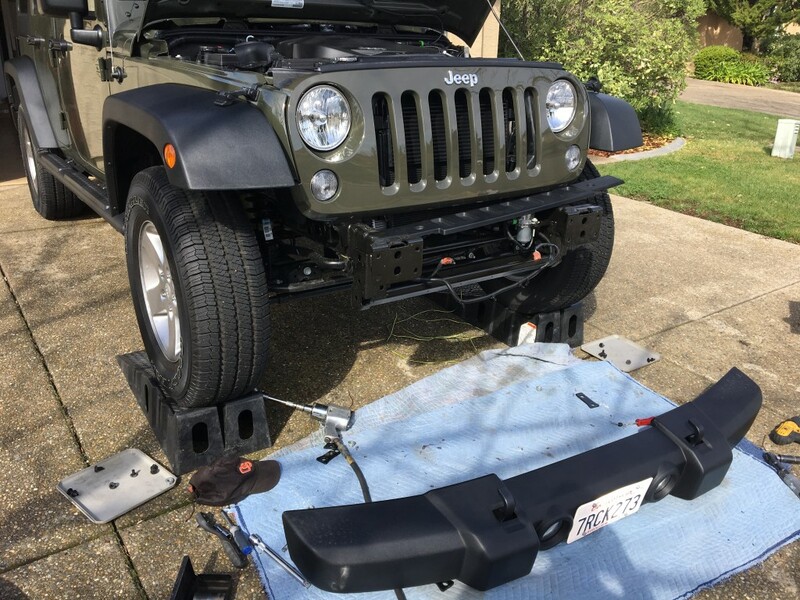 Steve came out on a beautiful day and….tore my beloved brand new Jeep apart. Steve did an incredible job. He ordered a wiring kit just for the Jeep that connects to the stock wiring harness. He routed the cables through the frame, so no only will they not be visible but they will be protected from any damage. I was pretty impressed by his work. He clearly knew his stuff and really did a nice job quality wise. The Blue Ox bar I chose is very minimal and it looks super clean once installed. 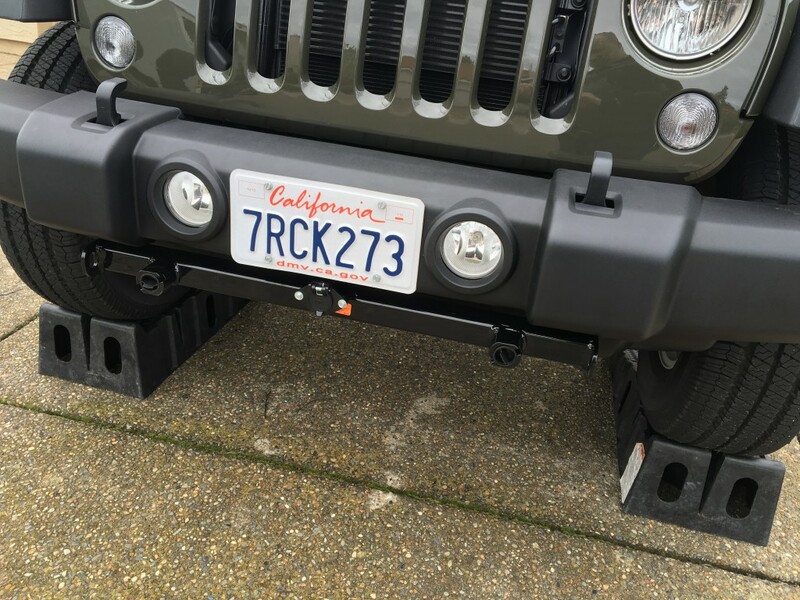 It also works with the Jeep stock bumper and doesn’t change the clearance much at all. All hooked up and ready to go!! Now all I need is a supplemental braking system. But that’s subject for another post.